You may or may not know I'm an editorial fashion and beauty photographer for 90% of my photography. However, whenever I'm not in studio I do street photography mainly with various film cameras. 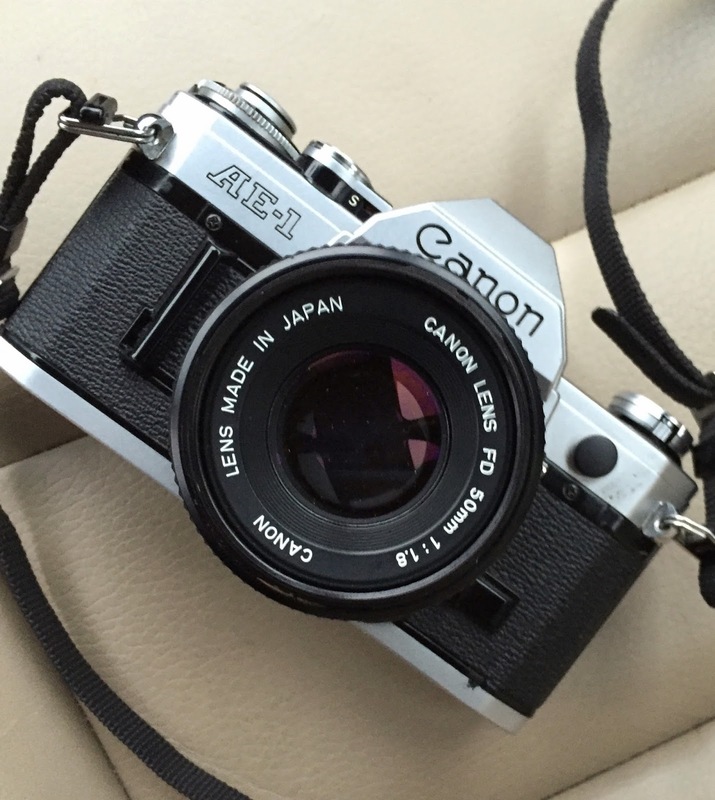 Guess what, this past weekend during a shoot I actually used this cool Canon AE-1 with a Canon 50mm f/1.8 lens during a model shoot. After each clothing change I took 2-3 photos with film. Can't wait to get the film back and see if any came out. The camera is easily older than any of the models I was working with. Got to have film fun...right? BTW, this is the first AE-1 I've ever used. Not sure if this is normal but the shutter release action sounds JUST like a Star Wars light saber being swung. Its a cool sound.